Nearly 1 million Rohingya refugees have entered Bangladesh from Myanmar since September 2017. The Bangladeshi government’s plan to start repatriating them beginning this Tuesday, Jan. 22, has been postponed due to concerns about their safety. That the Bangladesh government agreed to the delay, speaks to its benevolent attitude toward the Rohingya refugees. In a recent trip to Bangladesh I witnessed this benevolence firsthand. I saw roads adorned with pro-refugee banners. Even those with opposing political views have come together to support the Rohingyas. The Bangladesh case stands in stark contrast to what happened in Europe in 2015, which faced an influx of a similar number of refugees, where many European countries saw rising anti-refugee sentiment among its political parties and a lack of a cohesive refugee management plan in the European Union. In Bangladesh, I witnessed how the refugee camps were being run in an efficient, effective and compassionate manner. Since then, a massive number of Rohingyas crossed the border to come into Bangladesh, known to be one of the most densely populated countries in the world. 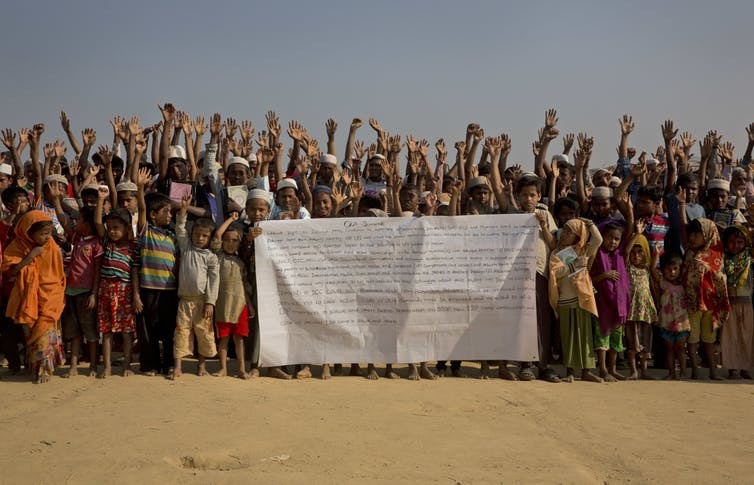 Currently, over half a million Rohingyas are living in refugee camp sites. The estimated costs of hosting them is US$1 billion dollars a year. During the first few days of January, I visited the camps and witnessed firsthand the scale of operations necessary to manage the camps. Since the beginning of the crisis, the Bangladeshi government set up a separate civilian authority to manage the refugee crisis. All domestic and international aid agencies must gain approval from this governing body to work in the country. In addition, since September 2017, the government has deployed thousands of soldiers from the Bangladeshi military to manage the camps. 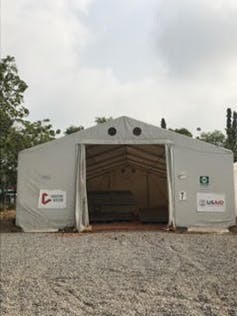 The soldiers manage camp headquarters, where supplies are stored and guard the roads leading to the camps. To understand how big this camp is, and how widespread, think of a city as large as Austin, Texas. I found the camps to be to be efficiently run and well-organized. They have been divided into administrative zones led by Rohingya leaders chosen by the Bangladeshi military. The all-male leaders are responsible for around 200 families each. They ensure that everyone under their watch gets provisions from the distribution sites and serve as the main contact for any kind of issue, be it finding information, or resolving disputes. The government has also set up a large surveillance system, which includes a network of internal and external intelligence officers. They control who can or cannot enter into the camps. For example, I had to register the donations I took with me before being allowed to enter the road to the camps. No cash donations are allowed. Government officials told me that they are taking these precautions to prevent drug and human trafficking and also to minimize the possibility of Rohingya recruitment by militant groups. But there are other issues that the government cannot completely control. Among them is the spread of communicable diseases. Last November, an outbreak of diphtheria, a deadly bacterial throat infection, quickly claimed at least 31 lives. Additionally, I observed that there are concerns about environmental damage and loss of biodiversity as the government cleared forest reserve land to build the camps. Bangladesh’s rapid response to the refugee crisis was possible due to country’s long-term experience with disaster management. After gaining independence in 1971, Bangladesh faced one of the worst famines in history because of flooding and chronic hunger, in which an estimated 300,000 to 1.5 million people died. This disaster was not, however, a one-off event. Each year, the country is plagued with rains and cyclones, that claim many lives and displace people. As a result, the government has had to come up with a long-term crises management plan. A vast network of local people who act as rapid first responders has helped decrease casualties, although a large number of deaths do occur every year. The same system was put to use during the refugee crisis. Furthermore, Bangladesh has been a part of the United Nations’ peacekeeping operations since 1988. This experience has allowed its military to understand how to manage a crisis where vulnerable populations are affected. Among other things, I observed how the military created “safe spaces” for women, children and the elderly in the camps. 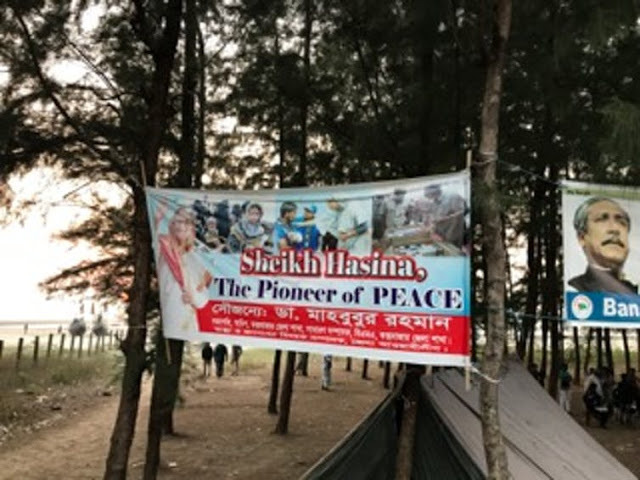 In addition to peacekeeping experience, as the soldiers explained, it is a mix of military discipline and Bangladeshi culture of hospitality that has enabled their success. It helps, of course, that the Rohingya are devoutly Muslim and share a religious identity with Bangladeshis, though not language or ethnicity. These similarities might make empathy and compassion more possible, but soldiers and aid workers point to something else that motivates them to care for the Rohingya: Bangladesh’s own history. They point to the parallels between the Rohingya crisis and the violence during 1971 liberation war, when East Pakistan won independence from Pakistan and became Bangladesh. One aid worker, in particular, mentioned that she heard reports of Burmese military camps in which Rohingya women were forced to visit soldiers at night. She recalled how sexual violence was rampant during the liberation war as well. She told me that she felt a particular affinity for helping the Rohingya for this reason. The question is, will this treatment last? Rohingya refugees I spoke to do not want to go back to Myanmar. Several women described to me the violence they had been through. One woman showed me how she had been shot in the neck and another pointed to the extensive burns on her face. In the camps, they have food, shelter, schools, sanitation, and most importantly, peace. They are receiving goods and amenities that they have not seen before. This was also confirmed by aid workers, who told me that the refugees have come from such deprivation that, at times, they have to be told not to eat the soap that is given to them. Many have never seen daily toiletry items such as soap, toothpaste and moisturizers. But the government of Bangladesh is also apprehensive about integrating the refugees too well into Bangladeshi society. I observed, for example, that the Rohingya children are prohibited from learning the local Bangla language in camp schools and are only taught Burmese and English. Any integration into Bangladeshi society would give fodder to the Burmese government’s claim that the Rohingya are Bangladeshi immigrants to Myanmar. There is also the fear of radicalization. Extremist groups have tried to recruit Rohingya into their organizations in the past. There are other issues as well: In the long haul, Bangladesh cannot sustain the current population. Almost 1 in 4 Bangladeshis live in poverty. While it is true that Bangladesh’s economy has improved over the past several years – a reason, government officials explained to me, that the country could provide aid in the early stages of the refugee crisis – this is not sustainable in the long run. 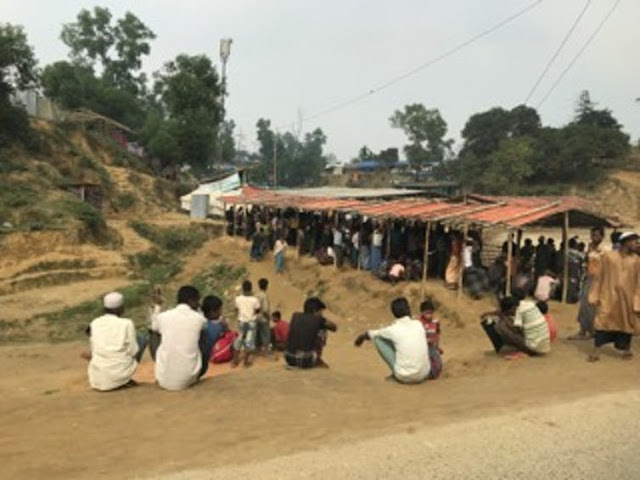 The economic strain is already noticeable in Cox’s Bazar, where many of the refugee camps are located. The local population is starting to complain about rising costs and job shortages. With the potential for national elections this year or the next, public opinion matters. The plan to repatriate the refugees has been put on hold because of continued violence in Myanmar and an anti-Rohingya sentiment. With repatriation delayed, Bangladesh will need more international help. This is not a crisis it can manage alone. Labels: Aung San Suu Kyi, Bangladesh, Burma, burmagenocide, Ethnic cleansing, muslimsinburma, Myanmar, Rohingya, rohingyamuslims, Syrian refugees, U.N.